Amidst speculation that Central Government was proposing to increase the retirement age of judges of Supreme Court and High Court, the Union Law Minister Ravi Shankar Prasad clarified that there was no such move. Earlier News 18 had reported, quoting “top sources in Government”, that the Government was likely to introduce a bill in the monsoon session of Parliament to increase the retirement age of SC judges as 67 from 65, and HC judges as 64 from 62. Ravi Shankar Prasad, speaking to The Print, denied the reports. 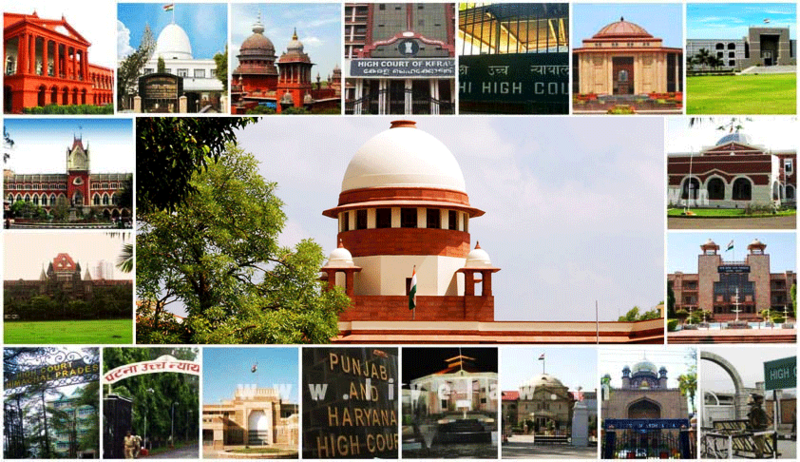 Central Government is proposing to increase the retirement age of judges of Supreme Court and High Court. As per a News 18 report, the Government is likely to introduce a bill in the monsoon session of Parliament to increase the retirement age of SC judges as 67 from 65, and HC judges as 64 from 62. It will require a constitutional amendment to increase the judges’ retirement age. The move is seemingly made with the intention to address shortage of judges. “A judge takes time to evolve and by the time he or she is in a position to put innovative thoughts to practice, comes the retirement age. This could have been avoided if the age of retirement was not 62 for High court judge and 65 for Supreme Court judges. That is because a judge has to evolve over the years. He has to have vast experience as an advocate. When he becomes a judge, he has to sit on different benches doing different subjects so that is an expert in each one. Finally the judge is elevated to the Supreme Court. In Supreme Court it is only when he presides that he is able to hold a sway in regard to the innovative thoughts that he has. By then, it would be time to say goodbye. Therefore, it is my sincere Government of India will look into this issue and raise it to say, 65 for the judge of High Court and 68 for judges of Supreme Court. That will be in the interest of the justice delivery system”. Recently, BJP leader and Advocate Ashwini Upadhyaya had written a letter to PM Narendra Modi requesting him to take steps to increase the retirement age of judges to 70.